This is another exciting week for opera lovers. The Canadian Opera Company is staging Richard Strauss' Ariadne auf Naxos after a 16-year absence. It stars the reigning Canadian prima donna Adrianne Pieczonka in one of her signature roles. 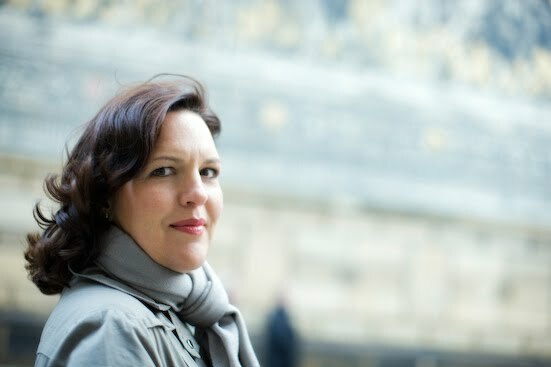 I had the pleasure of interviewing her recently for the cover story of the new issue of The Music Scene in which she gave us her insight into the character of Ariadne - you can read it at http://www.scena.org/pdf-files/TMS9-2_lr.pdf Partnering her as Bacchus is Canadian tenor Richard Margison. The Composer is the wonderful British mezzo Alice Coote, and Canadian coloratura soprano Jane Archibald sings Zerbinetta. The three ladies recently sang their respective roles at the Munich Opera to rave reviews. It is hard to believe it has taken so long, but Sir Andrew Davis is finally making his COC conducting debut. Ariadne is one of my favourite operas, and with such a superlative cast, this show is not to be missed. It opens on Saturday April 30, at the rather odd time of 4:30 pm. Meanwhile, the recently opened La cenerentola continues with performances this week on Thursday April 28 at 7:30 pm and Sunday May 1 at 2pm. I attended opening night last Saturday, and it was one of the most entertaining operatic evenings in recent memory. I admit I am not much of a Rossini fan, but this scintillating production and great singing won me over.